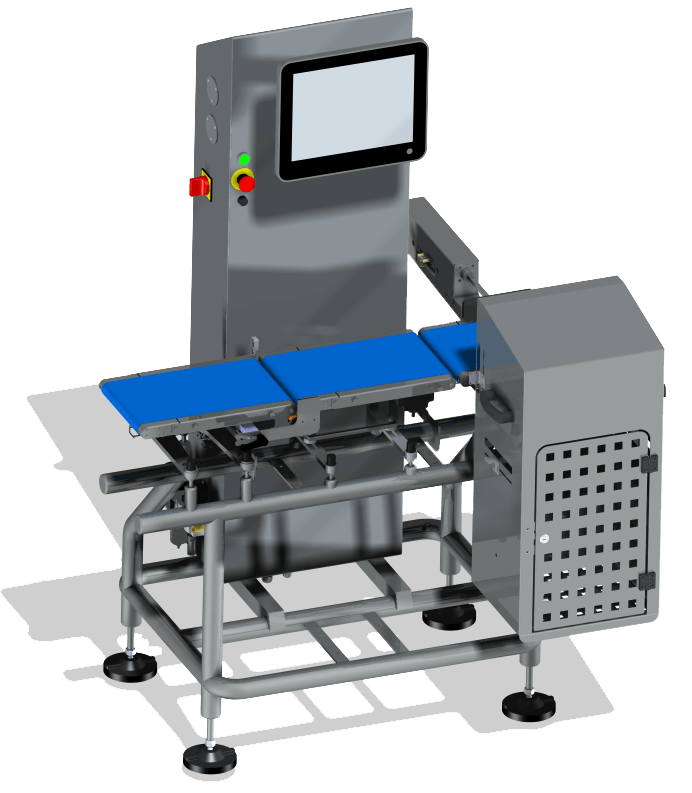 The TG3-A SELVEX Checkweigher enables checking the weight of any kind of products on your production lines. Thanks to its high accuracy, it provides the opportunity to send back information, by feed back, to your upstream process machine. 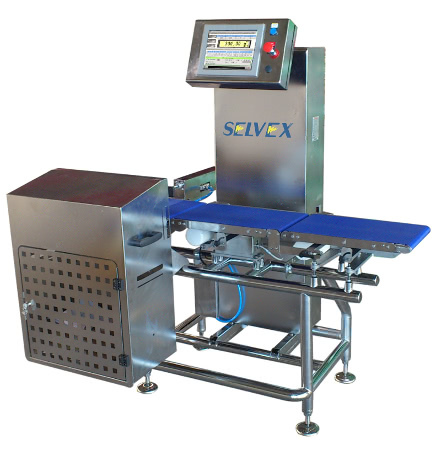 The Checkweigher is designed in stainless steel on a tubular frame which allows a high ease of maintenance. 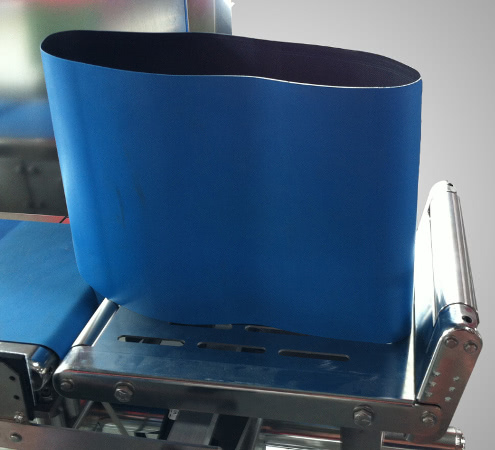 The conveyor belts are removable within a few minutes and without tools (see below). 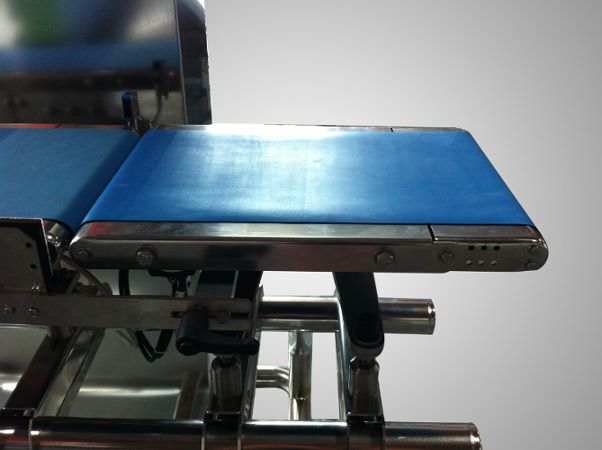 The great characteristic of the TG3-A Checkweigher is its design only made of standard retails parts, especially its automaton. It is therefore fully accessible and allows the maintenance service to perform possible modifications and to facilitate troubleshootings. Your production statistics can be stored and made available in .csv format, through USB stick or through an Ethernet networking.